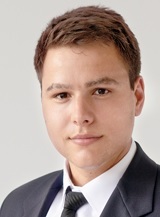 Ivaylo Turnaliev heads the Plovdiv office of Delchev & Partners. Ivaylo Turnaliev joined Delchev & Partners in 2009 and deals with civil and commercial law and specializes in energy, natural resources and foreign investment law. Ivailo advises businesses in the renewable energy sector on their corporate, regulatory and commercial legal issue and has extensive experience in hydroelectric power plants, solar energy, electricity transmission, electricity connection, offtake contracts. He is also specialized in natural resources law including but not limited to the legal aspects of putting into operation of mining concessions. advice to the German partnership Conetwork Erneuerbare Energien Holding GmbH & Co. KGaA (CEE KGaA) concerning solar park located near the village of Buhovtsi in Targovishte. representation of a joint-stock company concerning a mining concession in the Rodopi mountains; preparation of the legal documents for participation in the tenders for prospecting, exploration and extraction of subsurface resources; obtaining of permissions and conclusion of agreements for prospecting and exploration of resources, registration of commercial funds; management of mining waste and obtaining a concession for extraction of resources by right. advice on a number of Greek businesses investing in the south-east region of Bulgaria.